The exaggerated and artificial gait that results from soring is referred to as the “Big Lick,” and it has been rewarded in the Tennessee walking horse industry. 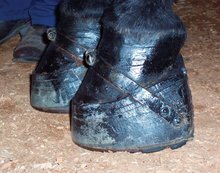 The bill will close loopholes in the federal Horse Protection Act and end the abject cruelty of soring, a practice where Tennessee walking horses and other related breeds are tortured with caustic acids, chains and heavy stacked shoes, cutting and other gruesome techniques to get them to fling their legs high in the air as they avoid the pain of stepping down. The exaggerated and artificial gait that is the result of such pain is referred to as the “Big Lick,” and it has been rewarded in the Tennessee walking horse industry in particular. The PAST Act would outlaw the show-ring use of devices that are integral to the soring process. It would increase penalties and abolish the failed system of industry self-policing that has encouraged this culture of abuse to fester unabated. There are countless examples of why this legislation is necessary, but one that particularly drives home the need is the saga of Honors and his trainer, Gary Edwards. It began when U.S. Department of Agriculture inspectors found Honors to be repeatedly in violation of the Horse Protection Act, resulting in his being disqualified from showing. Honors’ owners, Daniel and Keith McSwain, sued the USDA in 2016 and found a judge who ruled in their favor, requiring that the federal agency hold a hearing before causing Honors to be disqualified at shows. The USDA did not appeal the decision. At the Tennessee Walking Horse Celebration (the breed’s largest competition) that year, the USDA inspected the horse but since it was not feasible to conduct a hearing in the middle of the show, it did not require show management to disqualify Honors. Despite clear evidence of soring abuse, the judges rewarded the McSwains with wins for Honors in his qualifying class and the World Grand Championship. Following Honors’ wins, the McSwains were cited and eventually disqualified for continuing to enter Honors in shows despite the violations. 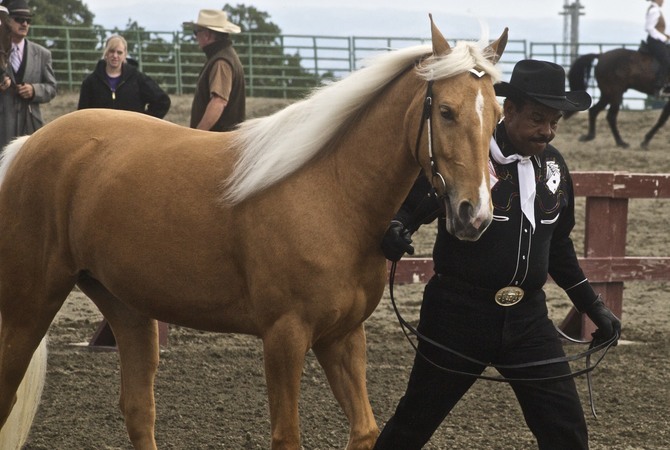 The USDA also finally decided to disqualify Gary Edwards, who trained and rode Honors at that 2016 Celebration, for three years for his role in showing the sored horse, but recently we learned that his penalty will not even start until 2022, allowing him to continue business as usual. Edwards’ brother, Larry Edwards, was also cited by the USDA in connection with these incidents and will be disqualified for three years, but not until this September, after the next Celebration. What it also shows is the lack of timely, effective enforcement by the USDA, charged with ensuring that the animals involved in these enterprises are not being subjected to cruelty. It is difficult to comprehend why the agency would wait this long to penalize a repeat violator whose career has been filled with numerous HPA citations and federal disqualifications, and why – if they justifiably believe he is a chronic, recidivist violator – they are waiting until 2022 to begin his disqualification. In the interim, Gary Edwards is free to continue soring his poor equine victims. This is common-sense legislation and it is endorsed by a vast array of horse industry, veterinary, law enforcement and animal protection groups and key individuals. The only ones who oppose it are those who want to continue to get away with this cruelty. Soring is a practice that has been going on for more than 50 years, and one that never should have been allowed, let alone encouraged. Please contact your federal legislators and ask them to cosponsor and pass the PAST Act and put those who abuse horses out of business. 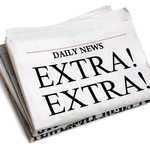 Blog by Kitty Block President and CEO of the Humane Society and Sara Amundson president of the Humane Society Legislative Fund.